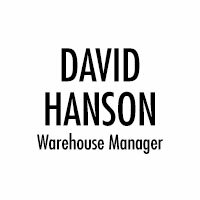 David has 33 years of experience in commercial moving and storage and Furniture, fixtures and equipment installations. He began his career at Neptune Worldwide Moving where he was involved in export packing, warehousing and rigging. He later formed his own company, a trucking service that specialized in delivery services for several high-end contract furniture dealers. After David sold his trucking business, he joined the staff of American Moving and Storage as a project foreman where he was quickly recognized for his ability to run major projects. Among the more notable projects he has managed for Interior Resources Group are Thomson Reuters, Trump International, SoHo Mondrian Hotels, and Cartier. A valuable addition to Interior Resources Group’s team, David’s has garnered a reputation for getting even he most demanding Furniture, Fixtures and Equipment Installation projects completed on time and within budget: the most visible component of hotel renovation, redesign and expansion projects.